Join WOB Naperville & Go 4 It Entertainment every Tuesday! FREE to play and starts at 8PM!! LOTS of PRIZES to WIN! 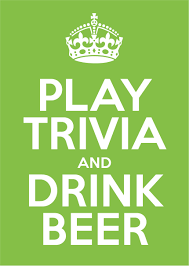 It’s trivia with music hints, bonus rounds with tasty prizes, half time music trivia and more! Prizes: awarded to TEAMS with the HIGHEST SCORES overall! Remember…LOYALTY MEMBERS also receive 25% off all bottles on Tuesday!